The Mercy Heritage Centre is dedicated to preserving the work of the Mercy Sisters, and their well-provenanced history, and maintains collections of relevant artefacts. We also serve as a contact for the Congregational Archives, Mater Hospital Archives, and All Hallows' School Archives. Monday and Friday 9:00am - 4:00pm; guided tours at 10am and 3.15pm on open days. Other times available by appointment and group bookings welcome. Over 25,000 objects and archival records which relate to the Sisters of Mercy Brisbane Congregation, from 1861 to the present. 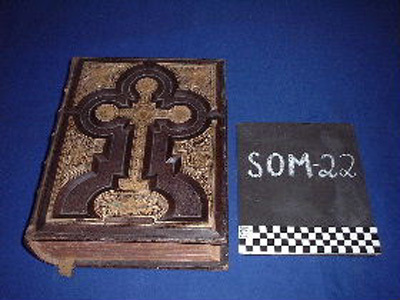 The collection encompasses material in these and other categories: education at a number of schools and other institutions; social welfare programs and institutions; medicine and health at the Mater Hospitals; missions in Papua New Guinea; artwork; furniture; photographs; correspondence; and of course religion and women. 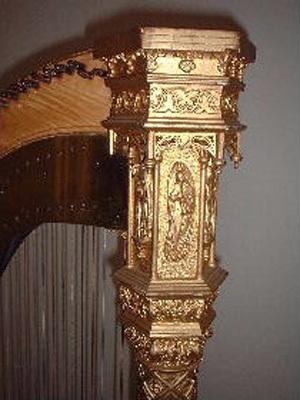 The harp was a gift to Sister Mary Claver Mullany, a talented musician, and both arrived in Brisbane on board the "Storm King" on the 5th May 1873. A letter, dated 28th January 1873 prior to her departure from Dublin, and an inventory list for shipping are in association with this object. 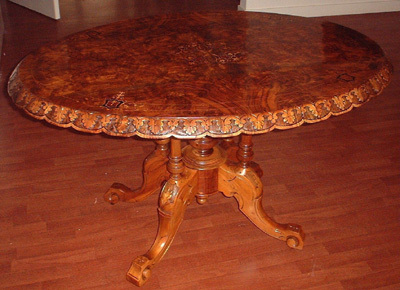 Walnut Table from the Convent of the Assumption Warwick, beautifully carved and inlaid but currently undated. 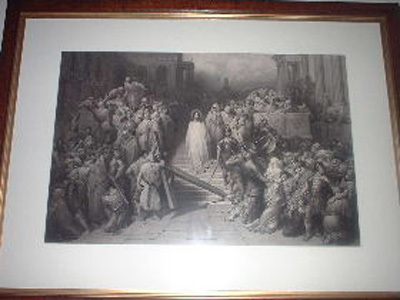 An engraving by Gustav Dore, dated by the artist 1867-70, depicting the sentencing of Jesus and the taking up of the Cross. Dore was a well-known French artist, some of whose works hang in the Louvre. He illustrated over 400 books and is famous for: Dante "The Inferno" (1861), Miguel De Cervantes "Don Quixote" (1863), John Milton "Paradise Lost" (1865), Edgar Allen Poe "The Raven", Dante "Divine Comedy", as well as the works of Dumas, Byron, and Tennyson. This is one of four known Dore works within the collection of the Sisters of Mercy, donated to them by George Wilkie Gray - an early parliamentarian in Queensland and great benefactor of the Sisters. 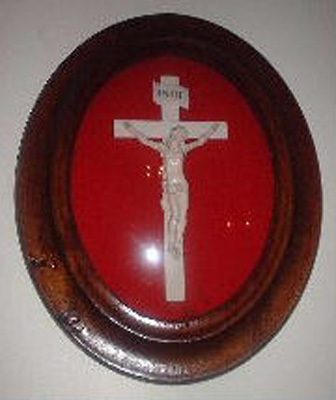 Published 1875, and used in St Mary's Convent Ipswich for many years.